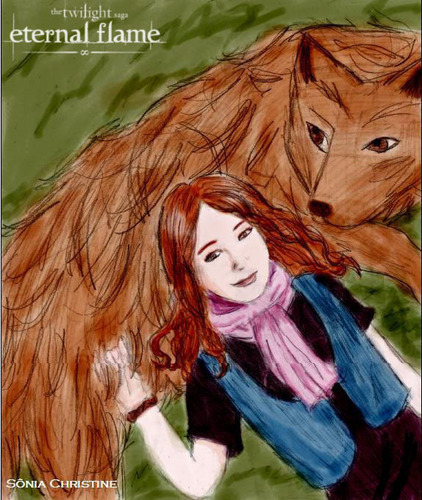 Jake Nessie. . Wallpaper and background images in the renesmee carlie cullen club tagged: renesmee nessie cullen wolf jacob eternal flame imprinting desenho draw.